Many people know the British Armed Forces act according to the government of the day, which at present time, is the Conservative Party, with a slim majority. What many may not exactly know are the various British Government and British Parliamentary committees that shape policies and laws that affect the size, direction and even equipment of the armed forces. 1) NSC (Nuclear Deterrence and Security) (restricted attendance) sub-Committee: Chaired by the PM it’s name says it all. 3) Public Expenditure Committee and Public Expenditure (Efficiency) sub-Committee: Chaired by the Chancellor of the Exchequer and the Chief Secretary to the Treasury respectively, these deal with the icky part: money. The latter committee is important to the Ministry of Defence and the SoS of Defence sits on the committee. The Home Affairs (Armed Forces Covenant) sub-Committee: Chaired by the PM, it deals with “matters relating to our obligation to support current and former members of the Armed Forces and their families”. 1) The Defence Board: Chaired by the the Secretary of State for Defence, it comprises of the senior Chiefs of Staff and other key MOD figures, deciding on MOD’s business (not so much operations). 2) The Defence Council, again chaired by the Secretary of State for Defence, this one “provides the formal legal basis for the conduct of defence in the UK through a range of powers vested in it by statute and Letters Patent”. 3) All the Chiefs (CDS, VCDS, 1SL, CGS, CAF and the new JFC Commander) can meet together, and of course the big CDS would normally chair this. They, I believe, don’t have much power but can formulate strategy. 4) Other MOD committees, definitely those within the various services but I shan’t go into them. In the UK, the UK’s Parliament, especially its select committees, do not have the powers of their USA counterparts. They cannot explicitly change government policy, stall financial funding or halt the government. But they can pressure. 1) Undoubtedly, the House of Commons Defence Select Committee: No need for explanation. 2) The House of Commons Foreign Affairs Committee: Since the MOD-FCO-DFID and others have some joint operations/work together. 4) The Intelligence and Security Committee: More about MI6, GCHQ and MI5, this may still steer the Armed Forces, especially those personnel (Special Forces) that work with them. 6) The The National Audit Office: Not a Parliamentary Committee, but its work helps the PAC. 7) The National Security Strategy Committee: A Joint Select Committee that hardly anyone has heard of. 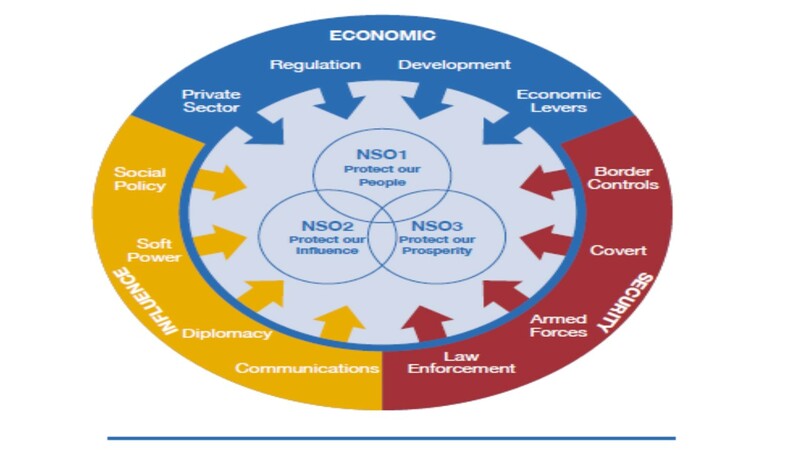 It analyses the National Security Strategy (NSS) that the government, post 2010, creates. 8) The House of Lords Arctic Committee: It looks at government policy towards the Arctic. Could have an effect on the Royal Navy? 9) The House of Lords Economic Affairs Committee: Could suggest changes to MOD finances? 10) The The House of Lords European Union External Affairs Committee: Recommendations of EU Defence? There you have it. There may be others I missed out. Do correct me.